Railway Photography by Phil Trotter - Blog: Around the Docks - for 3/3d! 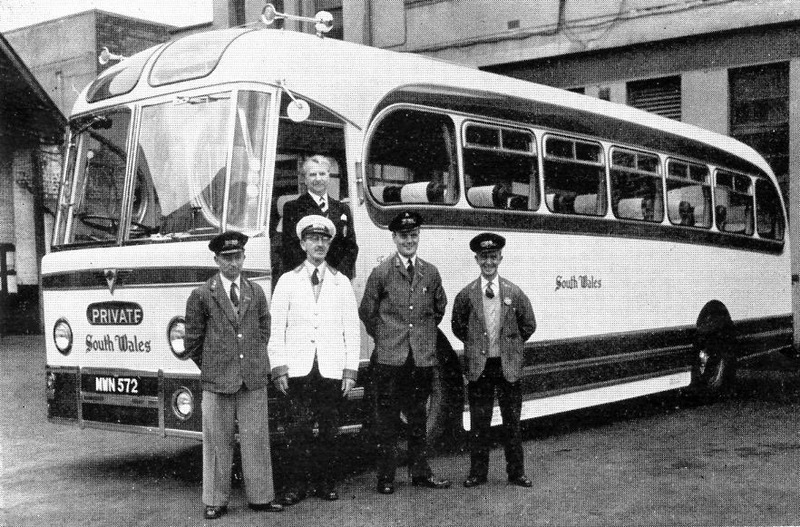 Back in the spring of 1956, SWT launched a Swansea ‘Town Tour’ which gave residents and visitors the opportunity to “see the sights”. The comprehensive itinerary included views across Swansea Bay from Townhill and Mayhill plus a visit to Swansea Docks, which of course was much busier then. The tour ran twice daily on Mondays to Fridays, leaving Oystermouth at 9.45am and 6.15pm, picking up also in the town centre. Places of interest en route were pointed out by a qualified tour guide. Using the company’s then brand new Weymann Fanfare coaches, each tour covered about 40 miles, lasted about two and a half hours and cost a mere 3/3d – or about 17p in today’s money! 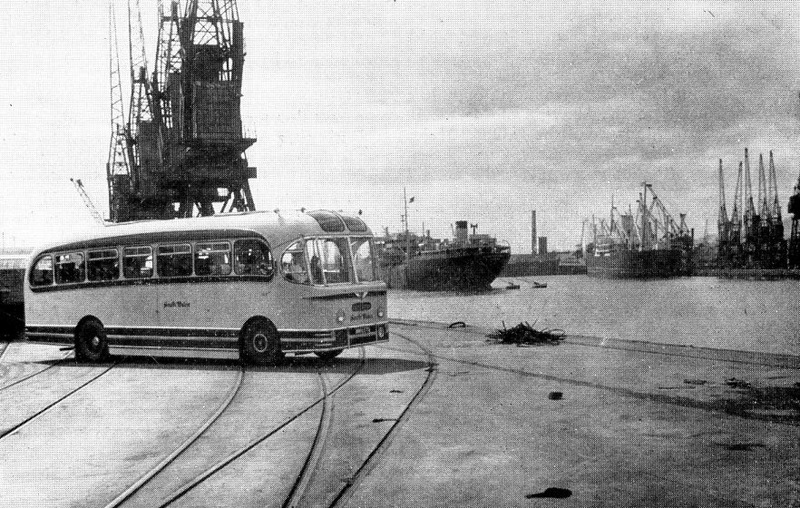 One of the then new Weymann 'Fanfare' coaches in the setting of Swansea Docks. The crews for the 1956 Tour of Swansea. and R.G.Powell. On the step is A. Griffiths of SWT’s tours department. 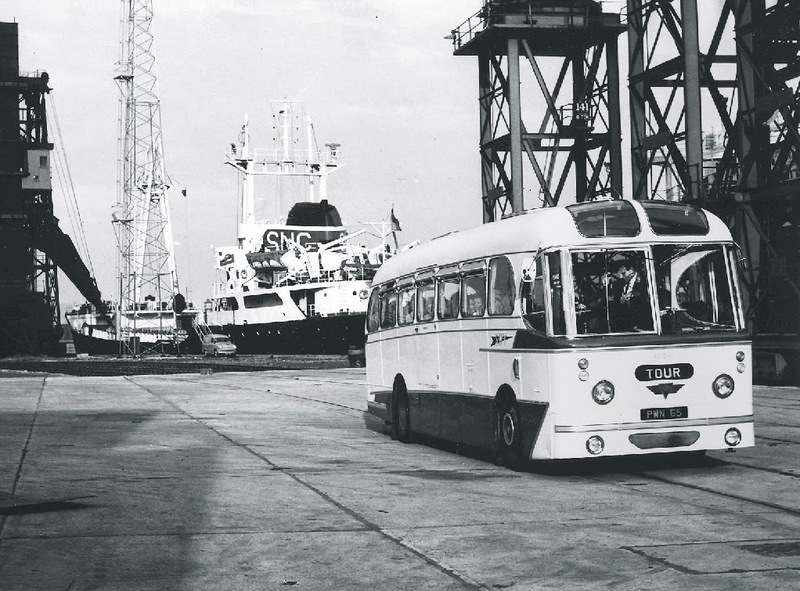 in a later version of SWT coach livery at Swansea Docks.